As I've mentioned in my recent Petrossian post, Chef Benjamin Bailly recently moved to helm the kitchen at Fraiche in Culver City. Kung Food Panda, an avid fan of Ben's, organized multiple tasting dinners for friends and I was able to join one of them. The meal consisted of a belly-stretching amount of food, so instead of going through every dish, I'll just tell you about some of them. 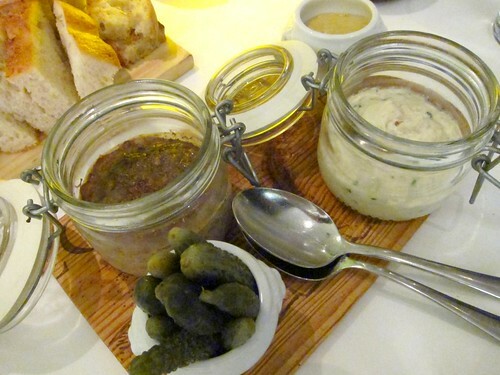 Our multi-course meal started with two jars of Smoked trout rillette and chicken(?) pate. It was hard to stop eating the pate, but after my last tasting at Petrossian with Chef Bailly, I've learned that I've had to pace myself. Then, pretending to be healthy for a bit, we had a course of three salads. 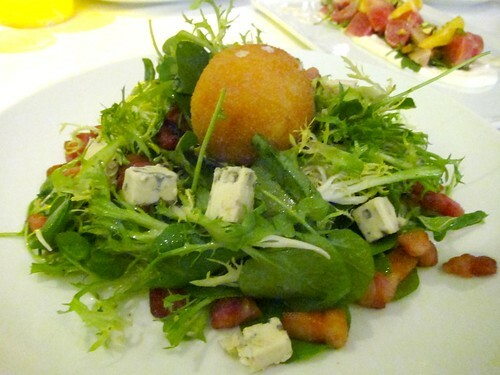 Never mind that one of the salads was topped with bacon and blue cheese .. This was the first hint of the multitude of truffled dishes to come. As you can imagine, the whole table went gaga sniffing the dishes. The truffle spaghetti smelled amazing with tons of black truffles shaved on top, but I found the pasta to be too tough to really enjoy the dish. 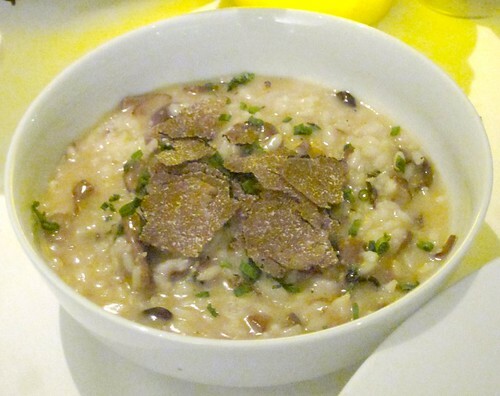 The creamy Sunchoke Risotto with Black Truffles fared much better. A spread of seafood dishes followed. The skin was very nicely crisped and the meat moist. 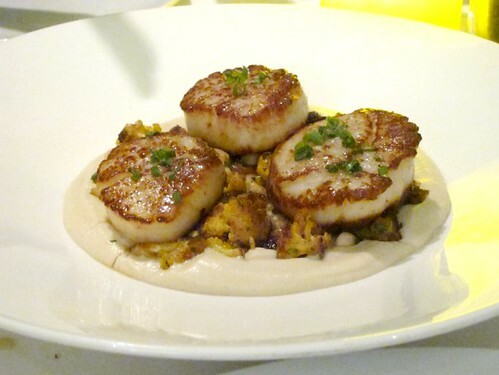 The scallops were great, but the star of this dish? The cauliflower puree. This was Chef Bailly' father's recipe and was probably my favorite dish of the night. I absolutely loved the added sweetness from the prunes. 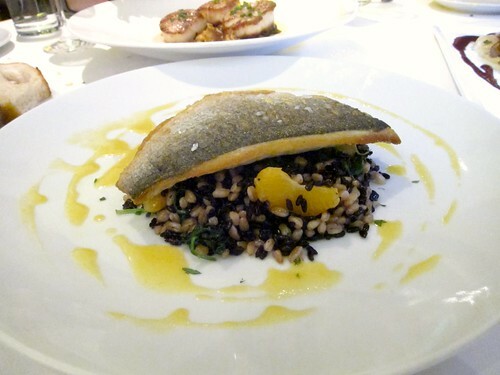 This is one dish I would most certainly return for. Do get this one! 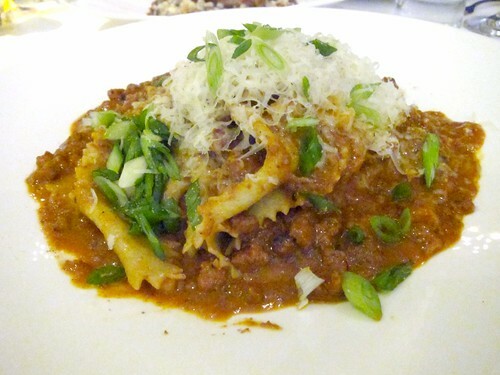 Very flavorful and the wide pasta was great, but the sauce was a little too salty. 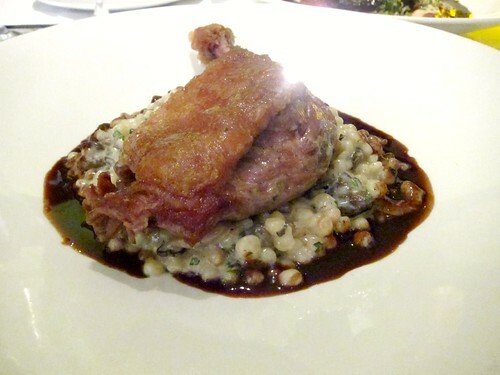 Tender, gamey duck confit, crispy skin. We were stuffed by the time desserts came, but of course we had to taste everything. 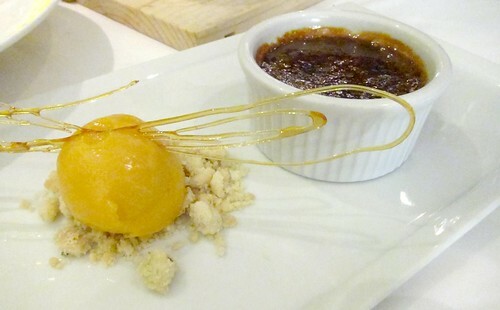 Ben served an old favorite from Petrossian, the Pistachio Creme Brulee, and the accompanying Apricot Sorbet was just amazing. I'd like a bowl of this for myself next time - it was just incredibly refreshing after the heavy meal. 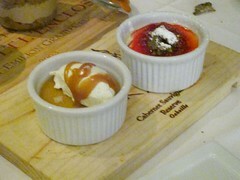 Another dessert I really enjoyed was the meyer lemon pot de creme. 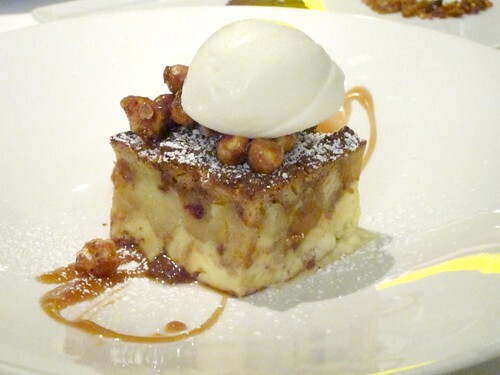 The tartness was a nice ending to the heavy meal. 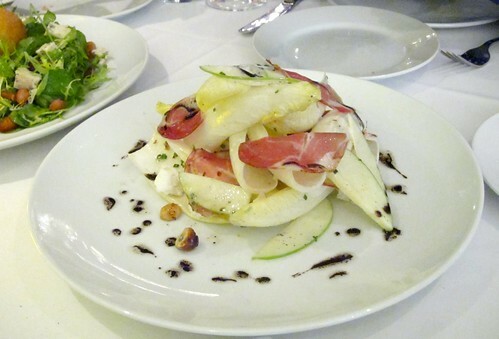 Even though we've tried so many dishes that night, there are still tons more that I've heard others rave about that I still need to try, like truffle burger and the squid ink taglierini with lobster. 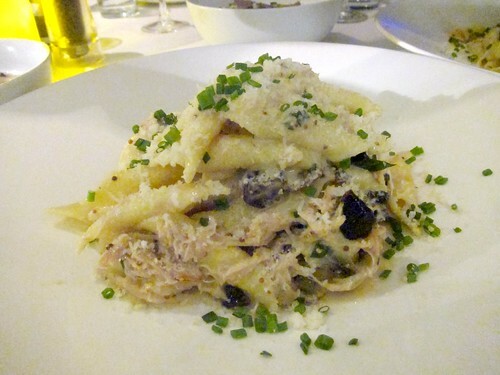 In the meantime, 2 words: Rabbit Garganelli! I am so jealous of your beautiful well-lit photos! Mine look like they were taken in a cave by a blind person. Nom Nom on the food! 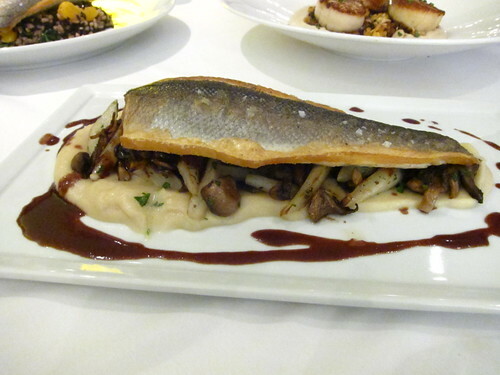 The daurade and scallops look especially good.